This chime features a striking two-tone color scheme popular on 1950s automobiles. 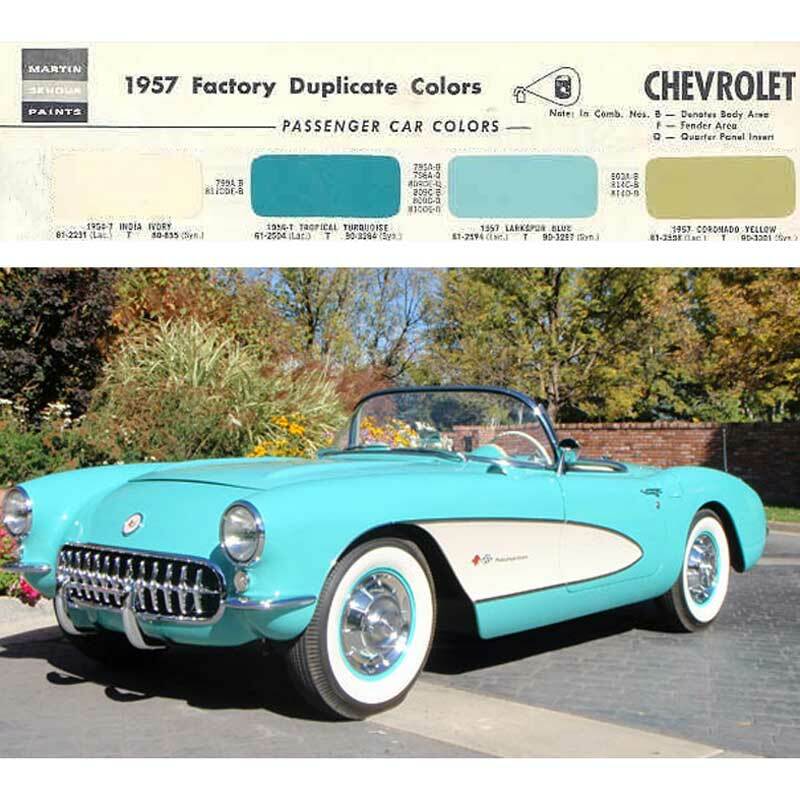 This chime’s paint is a close match for Larkspur Blue found on 1957 Chevrolets including the Corvette. Under the “hood” is an equally interesting repeating chime. The repeating mechanism was granted a patent in 1961 with a filing date of 1957. 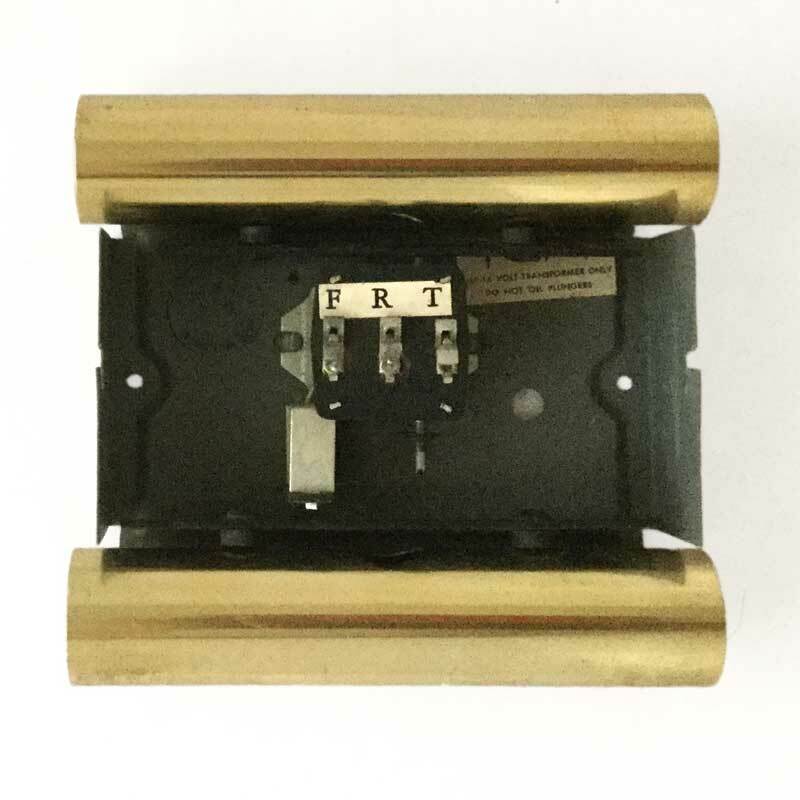 As with typical “ding-dong” doorbells, when the pushbutton is depressed, the solenoid is energized so the plunger strikes shorter tone-bar for the first note and then recoils by spring action to hit the longer tone bar for a the second note. In the case of repeating chimes, the chime continues to strike both tone bars in rapid succession so long as the pushbutton is held. In this example, the repeat is accomplished by means of two flexible copper conductors that act as the spring to recoil the plunger and simultaneously reenergize the plunger so long as the pushbutton is held. A clever design that used a single solenoid coil and plunger to obtain a repeating sound for the primary door, and a “ding-dong” for a bak or side door. This door chime had a horizontal orientation. 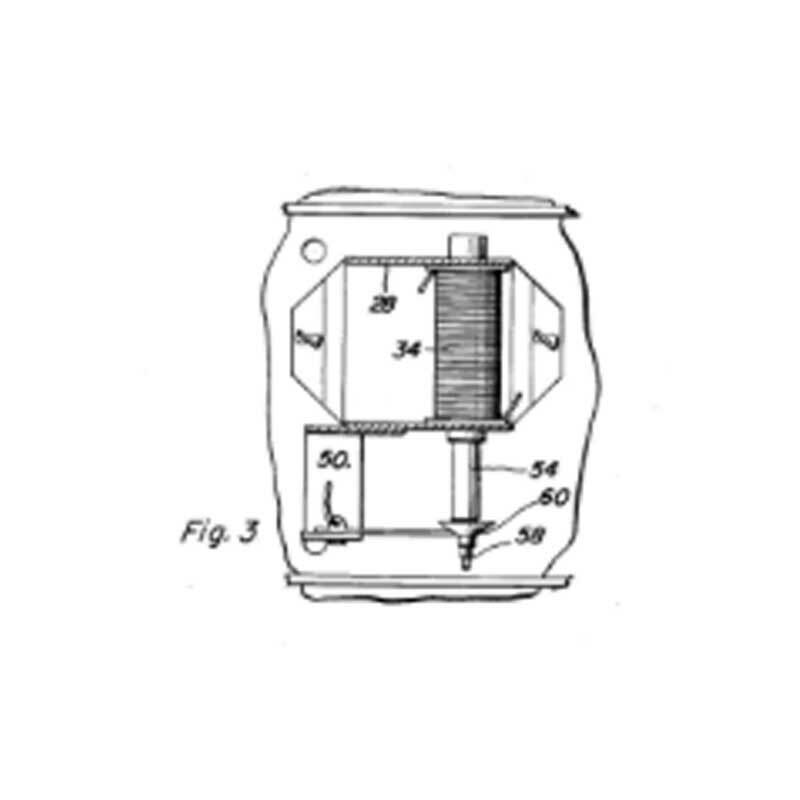 Although this repeating mechanism is elegant in its simplicity, it was probably less reliable than the mercury switch found in the Friedland Warbler. Equally clever is the simplicity of the external design as it was employed with different colors and with a conventional non-repeating mechanism as the Miami Carey Gondolier in the early 1960s catalog. Note that the Gondalier has a vertical orientation. 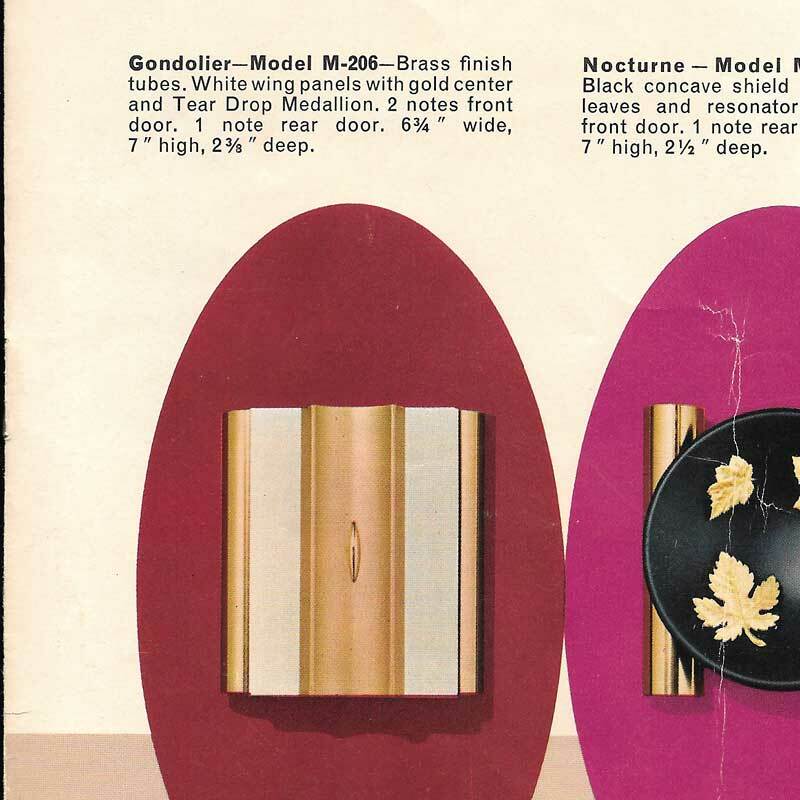 Do you have any more information on this stylish two-tone door chime? Contact the Museum. Manufacturer Miami Carey Division, Phillip Carey Mfg. 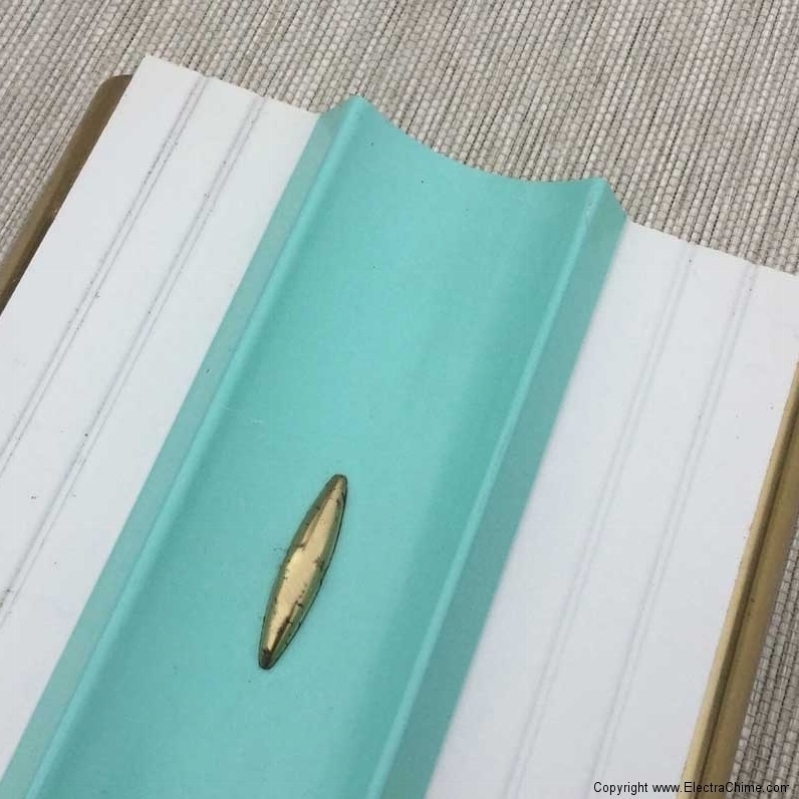 Co.
Materials Painted Steel Cover, Brass resonators and details, steel tone bars. Dimensions 7 inches wide, 6 3/4 inches tall. 2 3/8 inches deep.